Mid-season shows are often relegated to the middle of the season because they don't live up to fall season standards. There's the occasional show that stand out, however, and you watch it even though you can assume that it's not going to last very long. Such is the case with Crossing Lines. 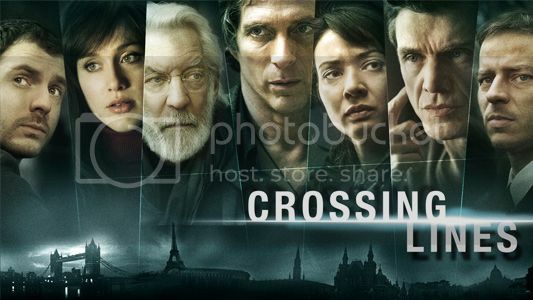 Crossing Lines is a new crime drama on NBC on which a group of international law enforcement agents work together to solve crimes that cross European borders. (Like the FBI covers cases that cross state lines in the U.S.) The team comprises detectives/police persons from Northern Ireland, Italy, the U.S., France and Germany. The cases so far haven't been as gruesome as, say, the ones on Criminal Minds (or Hannibal, yikes! ), but they definitely verge on the sinister. As part of the App Store's fifth-anniversary celebration, a bunch of apps are currently free. One of which is the Disney game Where's My Water. And since downloading it last week, Colt's been playing every chance he gets. Colt has always enjoyed a good brain teaser puzzle, so it's no real surprise that he's become obsessed. with this game. "The acting is superb, the costumes and sets are great and the cinematography is amazing," Wes says. "Really, I think my favorite thing about the show is its style. I recently read that a lot of the cinematography is inspired by Hitchock and I totally see it now." He does have to call the show on its lack of apparent protagonists, however—most of them are pretty terrible people at heart—and the fact that big twists or confrontations are often set up, only to have to wait a few episodes or even entire seasons for any resolution. Regardless, the duo is enjoying watching the one leg of the "AMC Trifecta" (Mad Men, Breaking Bad and The Walking Dead) they never had before. 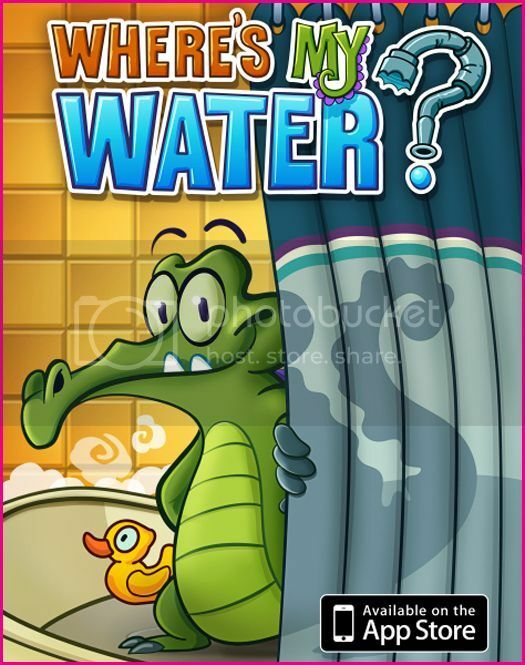 I love Where's My Water, it makes me happy every time the croc starts soaping up. But did you also get Badland? CAN. NOT. STOP.